Nasty John McCain banned President Trump and former running mate Sarah Palin from his funeral and remembrance ceremonies. 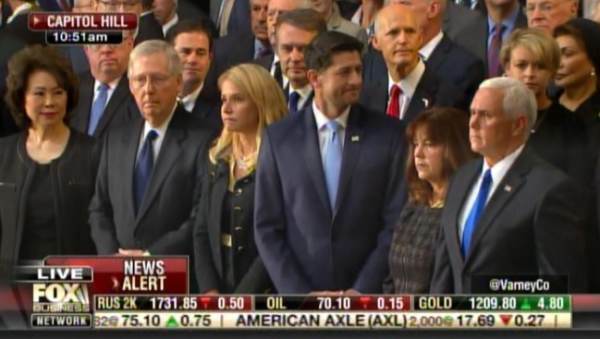 All of the Republican leaders and many of Trump’s cabinet members attended the ceremony. No one had the guts to stand up for this exceptional US President. Of course, Pelosi and Schumer are standing up front. They loved McCain for the work he did for the Democrat party. Pelosi made it clear that “Democrats and republicans” were together at the ceremony but not Trump. 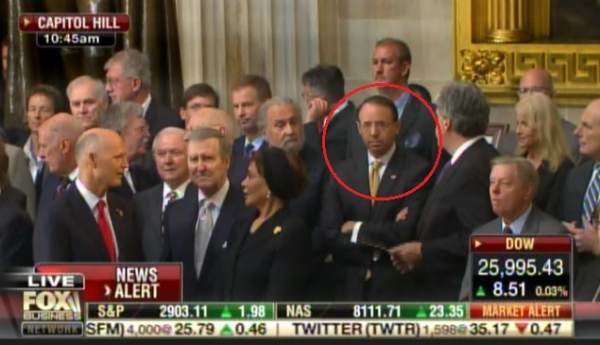 John McCain’s ally dirty Rod Rosenstein.